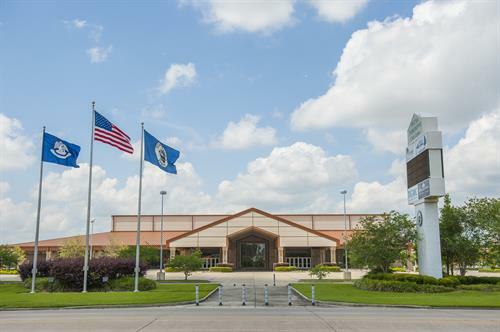 37,000 sq/ft arena with 10,0000 sq/ft meeting room space capable of hosting corporate functions, meetings, conferences, conventions, banquets, wedding receptions, theatrical productions, concerts, and sporting events. From New Orleans take I-10W and exit to 310S (HOUMA-BOUTEE). From 310 take Hwy 90 exit (right). Stay 90 onto Hwy 311. Take rt at HWY 311 S. Head south on 311 approx 10 miles to corner of 311-Barrow.